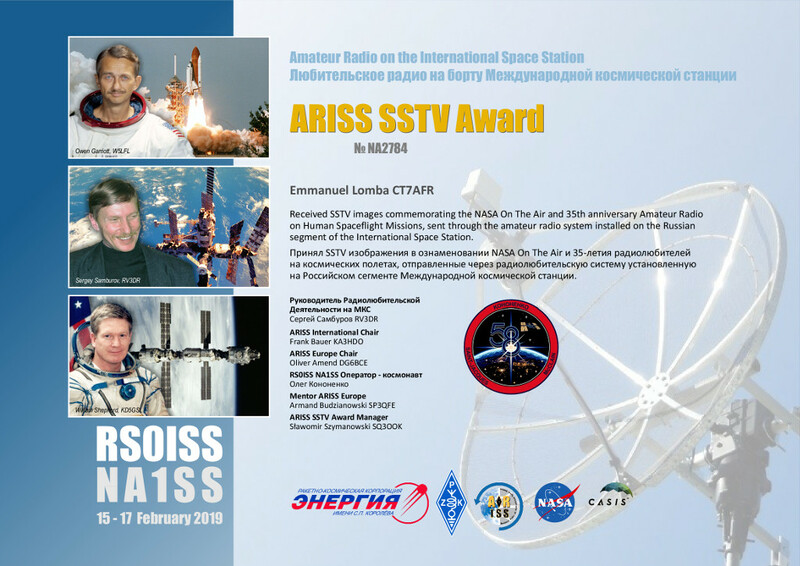 Certificate of reception of SSTV images sent through the amateur radio system installed on the Russian segment of the International Space Station, during the commemoration of the NASA On The Air and the 35th anniversary of Amateur Radio on Human Spaceflight Missions. 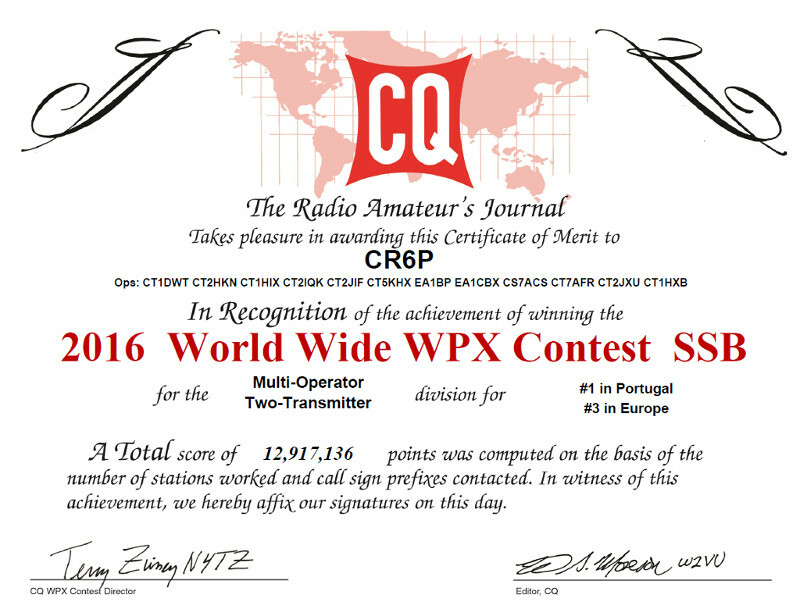 Certificate awarded in recognition of the achievement of winning the CQ World Wide WPX Contest 2016. 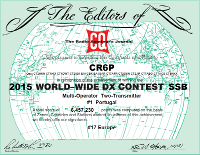 Certificate awarded in recognition of the achievement of winning the CQ World Wide DX Contest 2015. 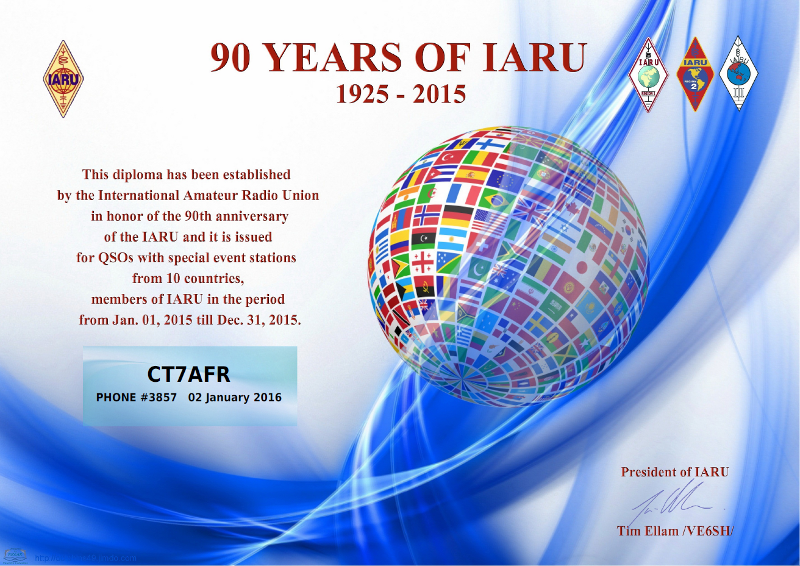 Diploma awarded in recognition of having made radio contact with jubilee stations **90IARU from 10 different countries. 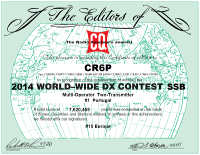 The stations were: 3Z90IARU, 9H90IARU, AM890IARU, CQ890IARU, CQ90IARU, DJ90IARU, E790IARU, EH90IARU/9, HB0IARU, HB90IARU, HG90IARU, II90IARU, OH90IARU, ON90IARU, OZ90IARU, P490IARU, S590IARU, SN90IARU, SX90IARU, VI90IARU, YL90IARU, ZP90IARU. 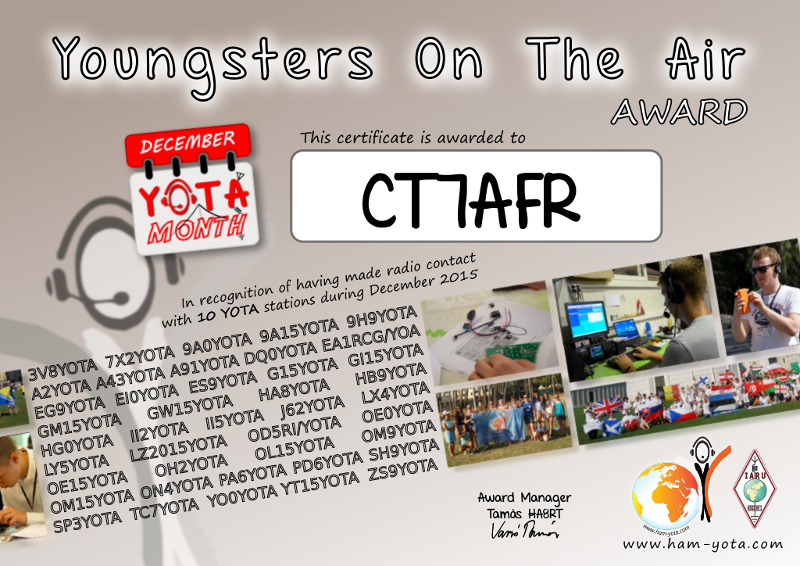 Certificate awarded in recognition of having made radio contact with 10 YOTA stations during December 2015. 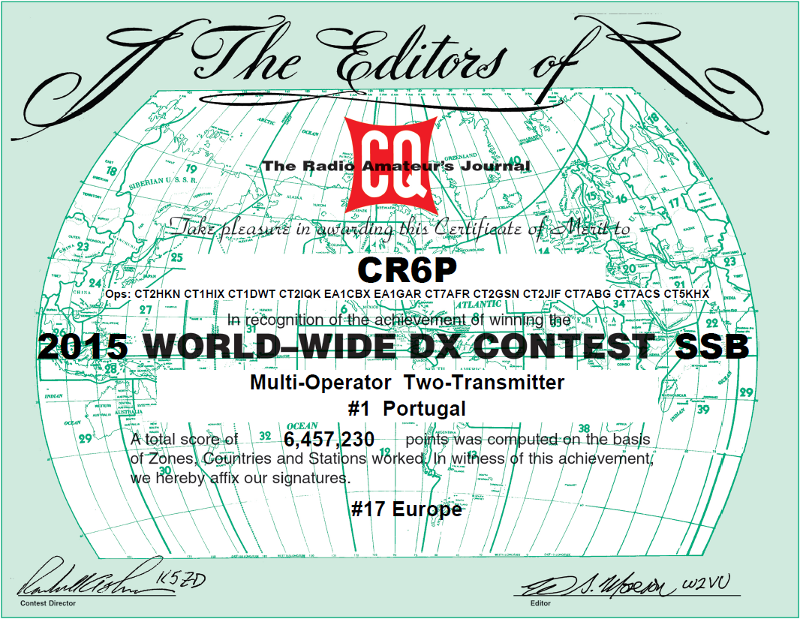 The stations were: OM15YOTA, LY5YOTA, HB9YOTA, II2YOTA, OL15YOTA, ES9YOTA, DQ0YOTA, OE0YOTA, PD6YOTA, GM15YOTA, 9A0YOTA. 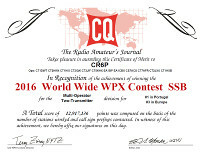 Certificate awarded in recognition of the achievement of winning the CQ World Wide WPX Contest 2015. 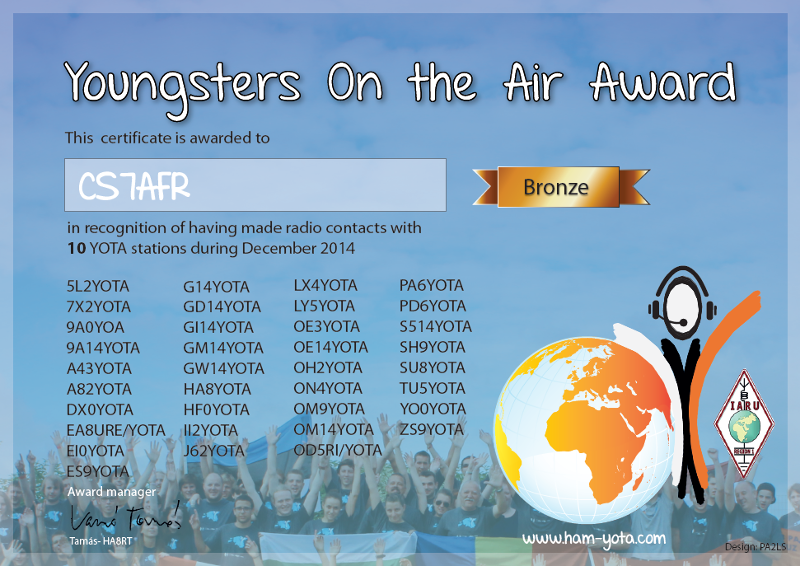 Certificate awarded in recognition of having made radio contact with 10 YOTA stations during December 2014. 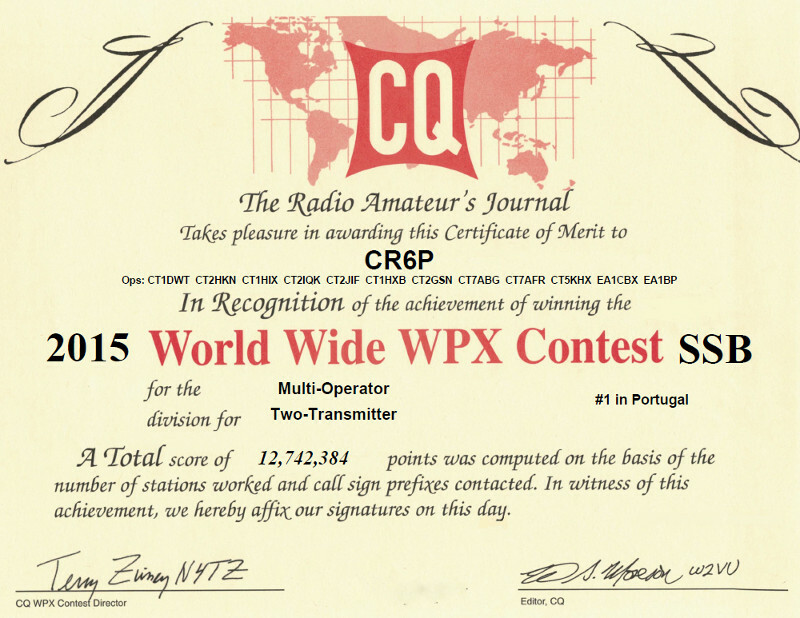 The stations were: 9A14YOTA, EI0YOTA, HF0YOTA, LX4YOTA, LY5YOTA, OE14YOTA, OH2YOTA, ON4YOTA, OM9YOTA and OM14YOTA. 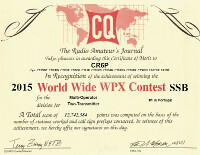 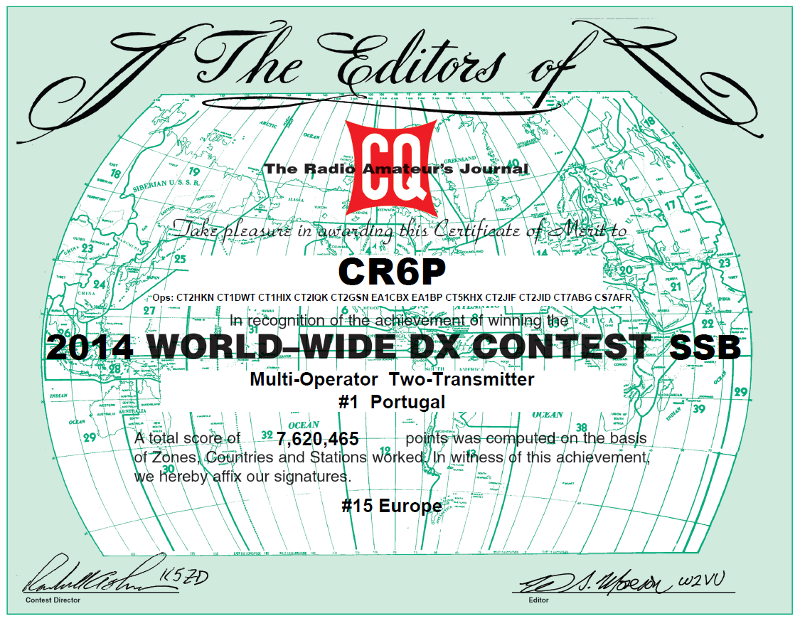 Certificate awarded in recognition of the achievement of winning the CQ World Wide DX Contest 2014.